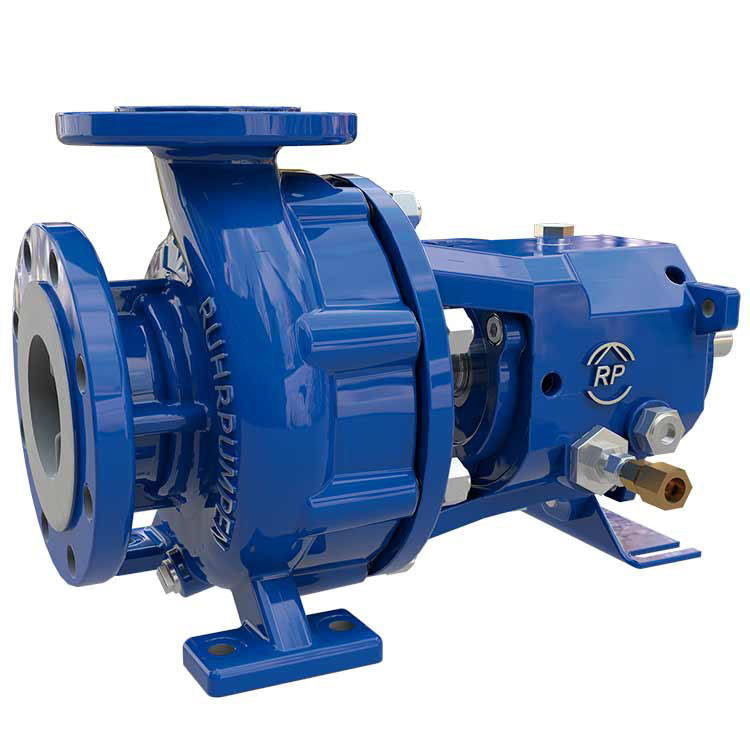 The CRP line of process pumps features 33 hydraulic combinations and is designed to meet the ISO 2858 and ISO 5199 specifications and comply with directive 94/9/EG (ATEX 100). Applications Petrochemical industry: auxiliary pump in tank farms and pipelines. Chemical industry. General industry: automotive, agriculture, pulp and paper, pharmaceutical, textile, food processing. Mining. Auxiliary pump in power plants. Water treatment. The CRP line features 33 sizes to precisely meet service conditions within a wide range of hydraulic parameters. The line was also designed to accommodate many different optional features such as wear rings on the pressure casing and cooling coils for bearing housings. Even though the ISO 2858 and the ISO 5199 cover the same type of industrial pumps, they are different. ISO 5199 covers the technical specifications for Class II centrifugal pumps of single stage, multi-stage, horizontal or vertical construction, with any drive and any installation for general application. Pumps used in the chemical process industries (e.g. those conforming to ISO 2858) are typical of those covered by this standard. ISO 2858 specifies the principal dimensions and nominal duty point of end suction centrifugal pumps having a maximum operating rating of 16 bar. To sum up, ISO 2858 focusses on external dimensions and mounting details, while ISO 5199 also specifies a variety of performance requirements and construction features.